​Electric companies have teamed up with natural gas and water companies through Utilities United Against Scams (UUAS)—a consortium of more than 100 U.S. and Canadian electric, water, and natural gas companies and their respective trade associations—to stop scams targeting utility customers. Throughout Utility Scam Awareness Week, November 11–17, UUAS and its member companies used social media to educate customers on the in-person, telephone, and Internet tactics scammers use and on how customers can better protect themselves. Since it was launched three years ago, UUAS and its member companies have helped to shut down more than 2,200 toll-free numbers used by scammers, and UUAS has received the Toll-Free Industry’s 2018 Fraud Fighter Award in recognition of its advocacy and awareness campaign to stop scams. Visit www.utilitiesunited.org for more information and tips about how customers can protect themselves from scams, and follow UUAS on Twitter and Facebook. The Federal Trade Commission’s website​ also is a good source of information about how to protect your personal information. EEI congratulates all those who won seats in local, state, and federal elections. As we prepare for a new Congress in 2019, EEI’s member companies—America’s investor-owned electric companies—remain committed to delivering the safe, reliable, affordable, and clean energy their customers need. Energy issues continue to be vital for everyone, and the electric power industry creates extraordinary value for every customer and community in America. EEI is communicating with policymakers and key stakeholders in Washington and across the nation about the investments our member companies are making and the initiatives they are undertaking to benefit customers and to deliver America’s energy future. EEI will continue to work with the Administration and across both sides of the political aisle in Congress throughout the months ahead. On November 7, EEI and the Nuclear Energy Institute co-hosted a post-election briefing featuring a dialogue between Brian Wolff, EEI executive vice president of public policy and external affairs, and Amy Walter, national editor of The Cook Political Report. The two veteran political insiders surveyed the outcomes of 2018's most prominent races and offered their views on what the nation's changing political landscape means for energy companies and their customers. With Democrats taking control of the U.S. House of Representatives in January, a new cast of committee chairs will oversee energy policy. While Republicans picked up seats in the Senate, major committee assignments are likely to change as well. At the state level, numerous governorships and state legislatures underwent changes of control. Wolff highlighted the opportunity to work with House Democrats in 2019 on energy infrastructure issues, especially in the areas of electric transportation and smart communities. ​Over the past two years, EEI has led stakeholder working groups to create the first and only industry-focused and investor-driven environmental, social, governance, and sustainability-related (ESG/sustainability) reporting template to benefit electricity customers and to help provide the financial sector with more uniform and consistent ESG/sustainability data and information. Now, EEI has partnered with the American Gas Association (AGA) to incorporate reporting metrics related to natural gas operations into the template. The natural gas distribution companies participating in the EEI ESG/sustainability reporting template will publish their 2017 data in the coming weeks and months. EEI and AGA, along with their member companies, will continue to work with investors to refine these metrics, and plan to fully incorporate the natural gas metrics into the Version 2 EEI ESG/sustainability template in mid-2019 for companies to report 2018 data. In addition, EEI and AGA member companies are committed to working with natural gas suppliers and producers to foster sustainability practices and reporting across the entire natural gas supply chain, leading to a cleaner energy future for all Americans. Learn more in EEI’s press release​. ​EEI’s member companies are changing the way they serve customers by providing them with innovative solutions that enable greater flexibility, engagement, and control. EEI’s National Key Accounts program helps to facilitate conversations between leading multi-site customers and electric company representatives on the latest public policies, trends, and technologies. At the Fall National Key Accounts Workshop in San Antonio, EEI presented the 2018 Awards for Outstanding National Key Accounts Customer Service. 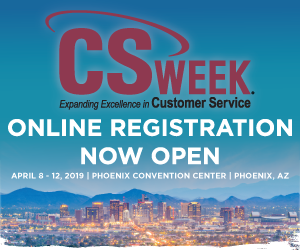 The awards have been presented for the past 20 years and recognize EEI member companies and their National Key Accounts executives for providing superior service to multi-site customers. Votes were cast by EEI National Key Accounts customers representing a wide variety of industries, including national brands such as Costco, The Home Depot, Marriott Hotels, Microsoft, Staples, TJX Companies, and Walmart. Read more in EEI’s press release​. ​For the Vaughan family, working in electricity and serving others are part of their DNA. Bill Vaughan Sr. began a 32-year career as a lineworker with Mississippi Power & Light, now Entergy Mississippi, in 1974. His son, William Jr., joined Entergy Mississippi in 1987 and now is the vegetation operations coordinator for transmission in Grenada, MS. Grandson Will Vaughan III, who has been with the company five years, is supervisor of transmission lines for Entergy Arkansas in Little Rock; grandson Tyler Vaughan joined Entergy Mississippi last year as a substation construction and maintenance trainee based in Greenwood. On average, employees work in the electric power industry for more than 15 years. The Vaughan family has far exceeded this: over three generations, they’ve worked a cumulative 65 years for Entergy. Earlier this year, as Tyler helped workers install a mobile substation, he ran into a familiar face. Photo (L to R): Bill Vaughan, son William Vaughan, and grandsons Will Vaughan and Tyler Vaughan. The Vaughans have worked for Entergy for a cumulative 65 years. An earlier version​ of this story first appeared on EntergyNewsroom.com. 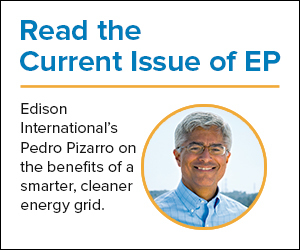 ​“At Edison International, we have been working for decades to make energy use smarter and cleaner,” writes Edison International President and CEO Pedro J. Pizarro in the latest issue of Electric Perspectives. ​Electric companies play a vital role in creating value for their customers and communities. They invest more than $100 billion each year to build smarter energy infrastructure that benefits communities by creating jobs, generating tax revenue, and powering America’s energy future. In total, the electric power industry’s economic impact is $880 billion annually, and the industry supports more than 7 million jobs in communities throughout the country—1 in every 20 American jobs. The smarter energy infrastructure that electric companies are building and deploying is creating opportunities for innovation and investment in other industries. In Botetourt County, VA, near Roanoke, the Quality Site Program developed by Appalachian Power and its parent company, American Electric Power (AEP), gave the community a competitive advantage over other localities competing for the first North American location of ELDOR Corporation, an Italian auto parts maker. Sites selected for AEP’s Quality Sites Program undergo extensive evaluation to ensure they meet stringent readiness standards to minimize overall site location risk, save time, and reduce site development costs. The designation is particularly important to foreign investors considering a U.S. location for the first time and companies on a tight timeline. ELDOR Corporation announced in early 2016 that it would locate its $75-million facility in southwest Virginia, and the state-of-the-art plant employing 120 workers opened in October 2018. The company, which makes ignition systems, electronic control units, and hybrid and electric vehicle systems for customers around the world, plans to add more equipment and to employ 350 workers in four years. Photo (L to R): Vince Barnett of the Virginia Economic Development Partnership; Andrea Durante of ELDOR Corporation; John Smolak, Economic and Business Development Director, Appalachian Power. ​“The most recent display of our commitment to enhancing the customer experience is the introduction of the PECO Marketplace—a retail website that allows residential electric customers to purchase energy-saving products through their electric company,” writes Mike Innocenzo, president and CEO of PECO, in Electric Perspectives. ​To meet customers’ evolving needs, electric companies are working with natural gas and nuclear companies and their trade associations and contractors through the Center for Energy Workforce Develop​ment (CEWD) to create tomorrow’s energy workforce. 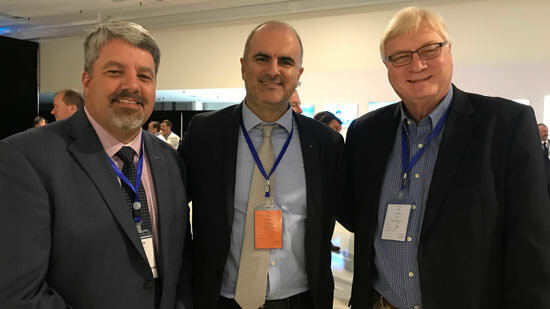 At the CEWD Annual Summit earlier this month, leaders from energy companies, organized labor, and industry experts discussed the changing approaches that energy companies are taking to attract, educate, hire, and retain this workforce. “We’ve probably seen more changes in the past 12 months than we have in any previous year,” said Keith Hutchison, senior vice president for U.S. human resources and chief diversity officer, National Grid. Hutchison led a panel discussing CEWD’s Energy Industry Game Changers National Strategic Workforce Plan, a biennial examination of the shifting conditions shaping the energy industry’s workforce needs. The 2018 version of the report highlights a shift toward a younger, more diverse workforce that is increasingly digitally literate, along with advances in education, new technology in the hands of workers, and changing customer expectations as factors driving the evolving workforce needs of the industry. Of these factors, customer expectations are the most important, according to Stan Sherrill, vice president, talent acquisition and workforce development, Duke Energy. “In an Amazon universe, the customer has come to expect certain things. They want us to anticipate their needs,” he said. Duke’s approach to the challenge has involved hiring a chief customer officer, building teams that focus on finding new ways to analyze customer needs, and having corporate leaders participate in customer service calls. Read about the electric power industry's jobs​. Learn more about CEWD and its initiatives. ​EEI and its member companies are reminding customers of the importance of preparing for severe winter weather and other emergencies. Taking simple steps now can make a vital difference if—and when—storms and other disasters occur. ​Update your phone number and e-mail address with your electric company. Develop an emergency plan that addresses any special medical needs you or your family members have. Call your local emergency management office to discuss necessary arrangements. Have your Emergency Outage Kit stocked with groceries, water, medications, infant and pet supplies, batteries, and other necessities, and ensure it is readily available. Make sure you have adequate winter clothing and blankets. Read more winter storm safety tips in EEI’s factsheet​. ​“In recent years, investors have increased their focus on understanding companies’ environmental, social, governance, and sustainability (ESG/sustainability) efforts and are factoring those efforts into their investment decisions,” write EEI’s Michael Buckley and Devin James in Electric Perspectives. “This creates a tremendous opportunity for electric companies. By telling the story of their long-term governance strategies, they set the industry apart and build a positive relationship with the investment community.